Upstage Large by Raquel Welch is the ultimate in wearable professional luxury! - Front: 7", Crown: 9.5", Sides: 9", Back: 9", Nape: 6.5"
Upstage Large by Raquel Welch is a best-selling classic bob with a Sheer Indulgence, 100% hand tied lace front and a fully hand-tied monofilament cap. This wig also features True2Life heat friendly hair fibers that can be heat styled up to 350 degrees. This is a very versatile, very polished premium synthetic wig that is available in a wide array of gorgeous colors. 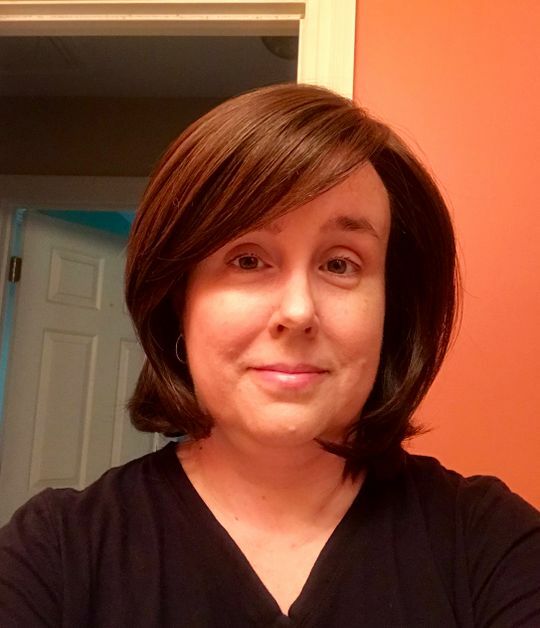 This was my first wig. It’s very natural looking and comfortable. Unfortunately the back is long enough to get very tangled if I wear it daily(at work). I’ve tried to keep it for occasional use due to the damage it has after about two months of daily wear. I love it but the heat resistant fiber is very high maintenance. Great Day to Day wear! Upstage is very comfortable to wear even in the summer heat. Super easy to care for. Would make an amazing first wig. -For the price I thought the wig would have more hair and they would stay attached. 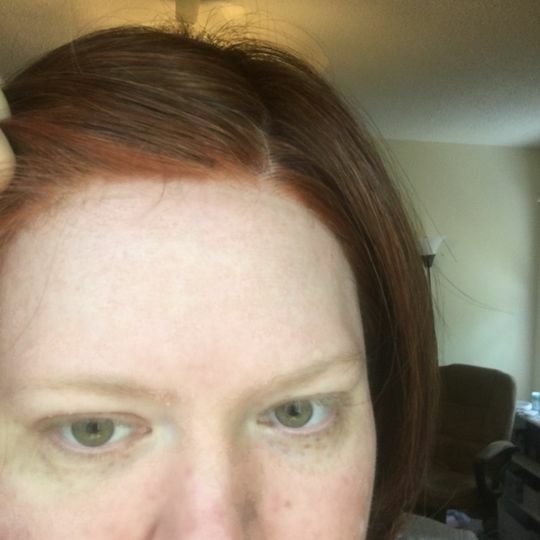 -The hair that frames the face is very light in color, not a blend like the rest of the cap. Would I buy it again? NO. Would I buy a Raquel Welch again? Maybe, but no time soon. It could be I just got a lemon. I did not send it back because of the pros. An absolute winner. This is really a fantastic wig, probably the most realistic or all the ones in my collection and the construction is impeccable!! Apart from the fact that I should have ordered the average cap instead of the large, this is really a very high end wig and it will get many compliments and wears. My advise to those who want to order a large cap in this particular wig is to only go for large if you are really LARGE, i am 22.5 inch and sometimes wigs can be borderline for me, but this one is a bit too large at the back for me, its very very comfortable but i think the Average in the Editors pick fitted me better, but if your head is bigger at the back or you have long bio hair, this will be a dream. Absolutely 5 star wig. I wish I had bought this one first. Out of the 10 wigs I've tried, this is the best. It's very soft and looks like real hair. The hairline is very convincing!. It's flattering and I will be buying more in different colors!!! I love it!